PLUS many optional extras to suit your specific vehicle storage needs. To get yours, register your interest below. The Workstores are location in prime locations throughout Brisbane and the Gold Coast. CLICK HERE to choose a location. 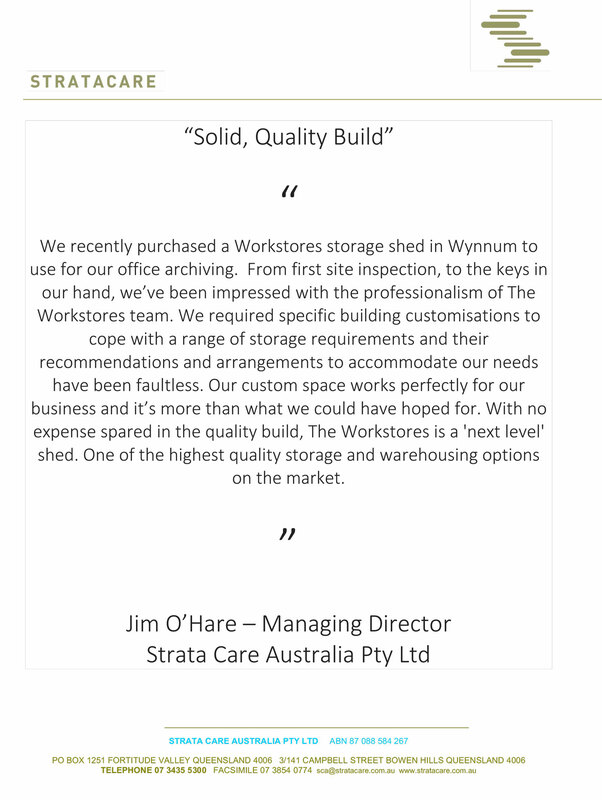 We recently purchased a Workstores storage shed in Wynnum to use for our office archiving. From first site inspection, to the keys in our hand, we’ve been impressed with the professionalism of The Workstores team. 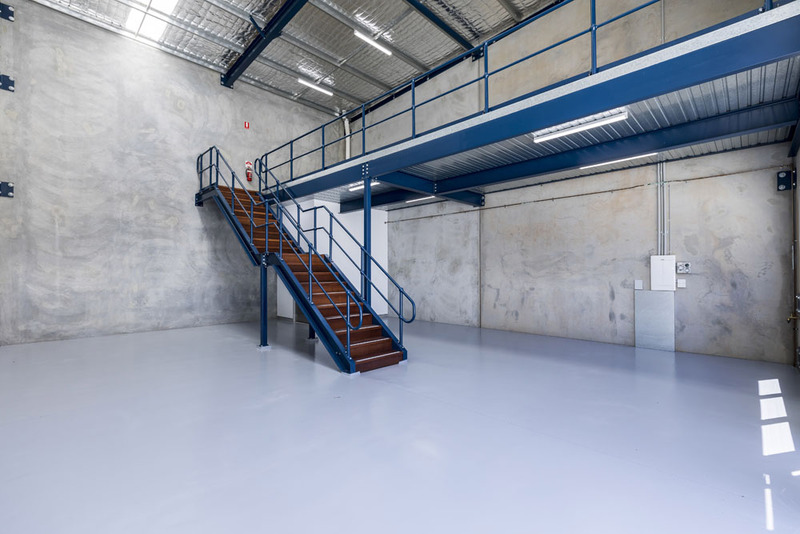 We required specific building customisations to cope with a range of storage requirements and their recommendations and arrangements to accommodate our needs have been faultless. Our custom space works perfectly for our business and it’s more than what we could have hoped for. With no expense spared in the quality build, The Workstores is a ‘next level’ shed. One of the highest quality storage and warehousing options on the market.